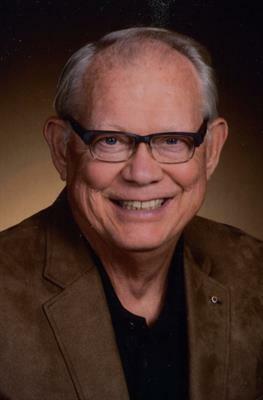 Gary D Adkins Gary Duwayne Adkins, 73, Topeka, Kansas, passed away Thursday, November 2, 2017, at Integris Baptist Medical Center, in Oklahoma City OK.
Gary was born August 13, 1944, to William A. and Edith T. Hinkle Adkins in Topeka. 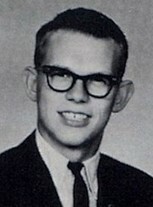 He graduated from Topeka High School in the class of 1962 and recently attended his 55th Reunion. He graduated from Washburn University in 1973. Gary married Mary Carole Monk Ramsey on January 9, 1982. Gary worked for 39 years at the State of Kansas Department of Human Resources retiring in 2002. He was President of the International Association of Personnel in Employment Security. Gary was a member of many organizations: Washburn Alumni, Score, Auburn Lions Club, Knights of Columbus, Miata Club and Kansas Explorers. He converted to the Catholic faith on Easter of 2014 and was a member of Most Pure Heart of Mary Catholic Church. Gary loved to play cards of every kind, was a so-so golfer, loved to travel, enjoyed camping and fishing trips and liked to cook. Gary encouraged everyone to become an organ donor. Survivors include his wife, Mary; brother, William A. Adkins Jr; plus many nieces, nephew's great-nieces, great-nephews and friends. Gary was preceded in death by his parents and siblings, Donald Adkins and Beverly Adams. Family will greet friends from 5 to 7 p.m. Wednesday, November 8, 2017, at Kevin Brennan Family Funeral Home, 2801 SW Urish Road, Topeka KS 66614, where the rosary will be led by the Knights of Columbus at 6:45 p.m.
Mass of Resurrection will be celebrated at 10:00 a.m. Thursday, November 9, 2017, at Most Pure Heart of Mary Catholic Church, 3601 SW 17th , Topeka KS 66604. Memorial contributions may be made to Washburn University, Auburn Lions Club or Most Pure Heart of Mary Catholic Church, sent in care of the funeral home. Condolences may be sent online to www.kevinbrennanfamily.com. So sorry to hear of Gary's passing. Thoughts and prayers to his wife and family. Sad but part of life. Gary was with us. A month ago, and like so many others now he is with our Lord. He was here and now he is with us in spirit? So sorry to hear of his passing. "He wll be missed" is an understatement. Click here to see Gary D.'s last Profile entry.